Asthma is one of the most costly chronic illnesses in both the developed and developing world. Asthma is a significant factor in the use of health care services, particularly emergency departments and prescription medications. In the United States, asthma is the 13th most costly medical condition and the 7th leading cause of work-loss days (Druss et al. 2002). The cost for patients with asthma in Western countries ranges from $300 to $1,300 per capita per year (Braman 2006). In the future, costs are expected to substantially increase. 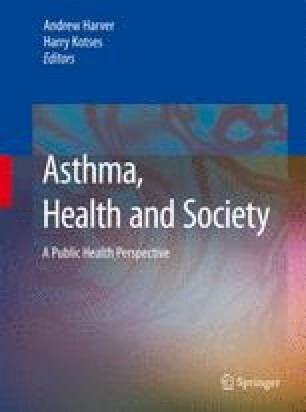 The purpose of this chapter is to discuss the cost of asthma to society and to evaluate the role of cost in individual access to care. The impact of cost on societies differs from that on individuals. For societies, the economic burden of an illness can help to prioritize the use of economic resources. Understanding which illnesses, from a societal perspective, use the most resources can suggest illnesses where treatments can be potentially cost saving.